Aluminium angles are often used in a variety of architectural projects for corner joints, supports and edge protection. 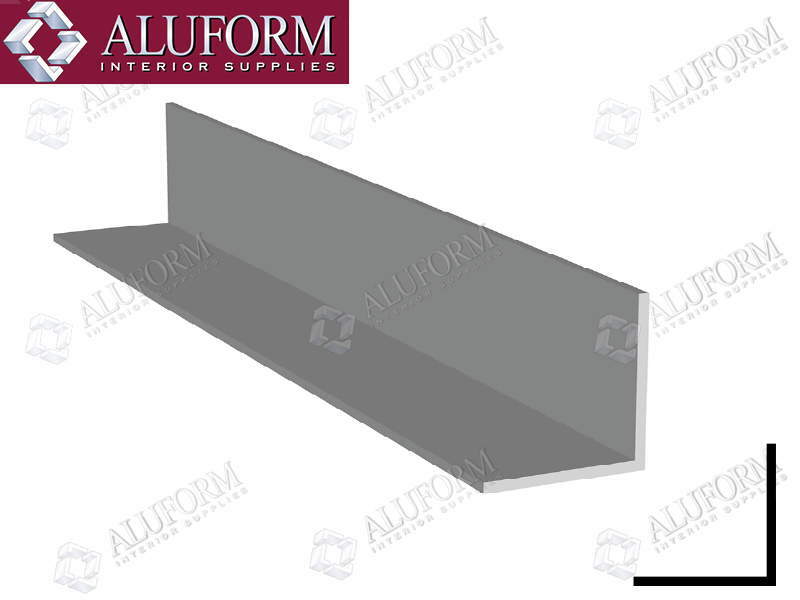 Aluform stocks aluminium angles in a variety of sizes. (Refer to the size chart below). Prices shown below are online prices. For account customers, discount will be applied and delivery charges will be confirmed once the order has been processed. Mill finish and natural anodised material can be dispatched the same or next day. Powdercoated material can be turned around in 4-5 days. Refer to the colour guide and price guide below for powdercoat colour options and charges.